As a new style trailer, we are now featuring as an extra option the most ergonomic shad trailer ever designed by Clarks Hill Heavyweight, Tony Postell, called the "YNOT" . 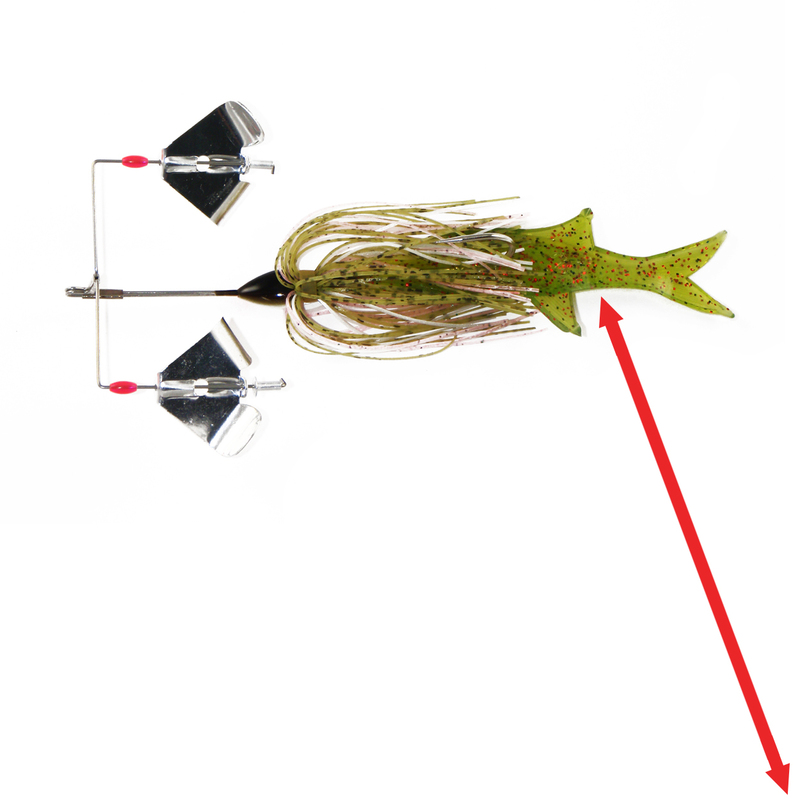 As this trailer is added when the fish look up at the spinner or buzz bait from underneath they will see the flat version of a shad coming through the water giving them an extra temptation to strike the lure. This has proven to be very very effective for fishermen who have found out about this trailer. It will be available on our web site soon. BUY THREE OR MORE PACKS FOR $4.50 EA.